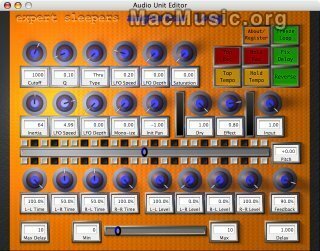 Expert Sleepers has just released a beta version for its tape-based delay effect Augustus Loop. This new 1.4 release features a new 'clear loop' function, an auto fade-in/out envelope, auto punch in/out, the loop input level can be controlled by punch in/out, extensive CPU efficiency improvements and some bugfixes. This beta version is available from Expert Sleepers web site.